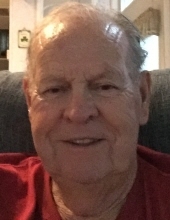 James J. Magee, 79, passed away peacefully March 26, 2019 in Clark. Born in Newark and raised in Kearny, he was a resident of Cranford for 51 years. Friends and relatives are invited to visit Friday, 3/29, from 4-8 pm at the Dooley Funeral Home, 218 North Ave. West in Cranford. A Mass will be held Saturday, 3/30, at 11 am at St. Anne’s Church in Garwood. James was a proud veteran of the U.S Navy, having served for 29 years. He worked for Bell Atlantic for 31 years before retiring as a manager. He also worked at the South Mountain YMCA for more than 15 years. He belonged to the American Legion, and was a member of The Elk’s Lodge of Cape May. He often volunteered his time with the Boy Scouts, and Cranford Little League. He enjoyed spending time camping with his family. He was predeceased by his siblings, brothers William, Shaun, Henry, and Hugh, and his sister Alice. Surviving are his loving wife, Norine; his devoted children, Maureen (Bruce) Tyrrell, James Magee, and Michael (Michelle) Magee; his loving grandchildren, Heather (Ed) Hollema, Amanda (John) Pearson, Brendan Tyrrell, Michael and Mason Magee; his great-grandchildren, Collin and Holly Hollema, and Piper and Parker Pearson; and many nieces and nephews. To send flowers or a remembrance gift to the family of James J. Magee, please visit our Tribute Store. "Email Address" would like to share the life celebration of James J. Magee. Click on the "link" to go to share a favorite memory or leave a condolence message for the family.